There’s nothing like the fresh taste of a tall glass of milk. 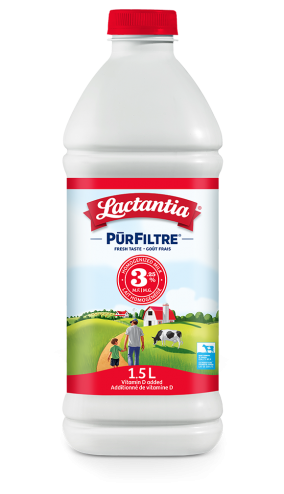 Lactantia® PūrFiltre Milk – pure deliciousness that stays fresh longer without preservatives. Stays fresh longer compared to our regular pasteurized milk when refrigerated and unopened. Contains no preservatives, like all regular milk.